The Green has been the centre of the village for many years. It boasts the 'Top Green' by the Parish Church and the 'Bottom Green' (the old village sawpit, where large logs were sawn) at the junction with Main Street. It was also the home to the village school for many years and villagers would have gathered to hear John Wesley preach as he toured the country. 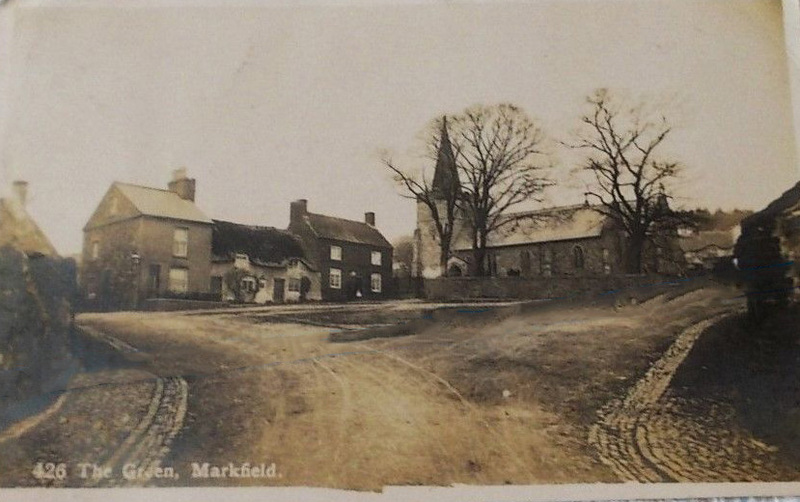 These early twentieth century postcards show St Michael's Church and the adjacent cottages on The Green.The first card was posted in 1906. In the second card, note the group of the children sitting in front of the Church wall. Also note the thatch on the middle cottage in these cards, which was replaced by slates some years ago. The house nearest the Church was renovated in 2018. 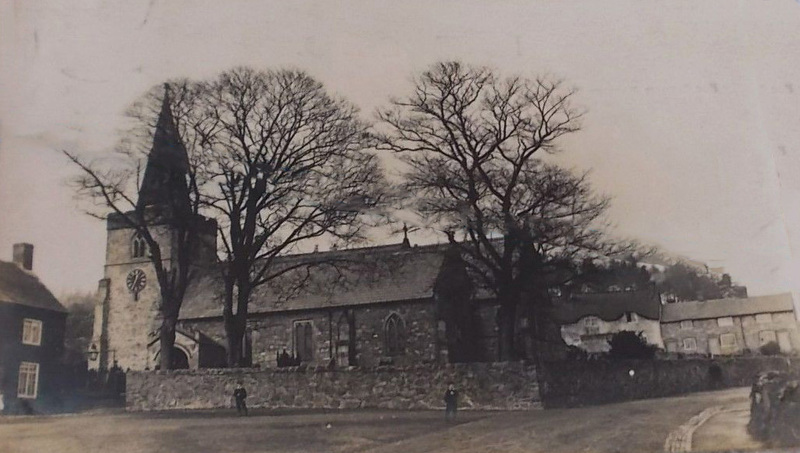 More pictures of the Parish Church can be found in the Religion area of the site. 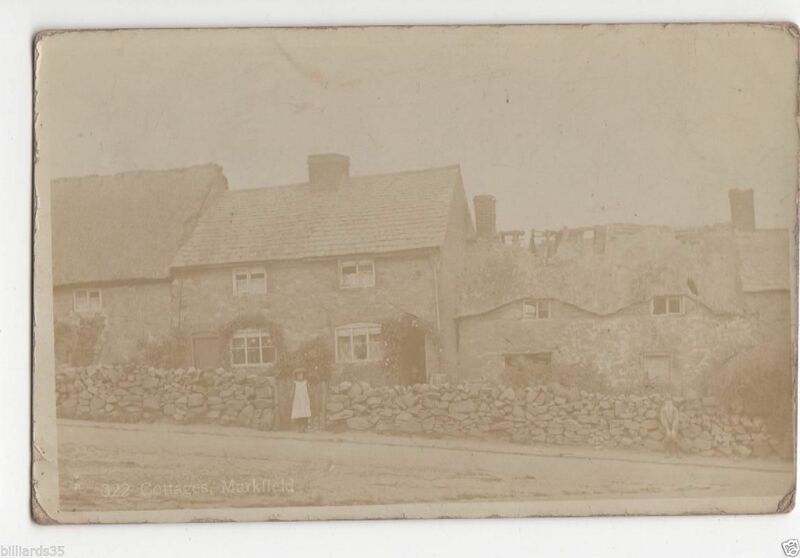 This next picture appears to date from the early 1900s and is thought to be of cottages on The Green, opposite St Michael's Church. 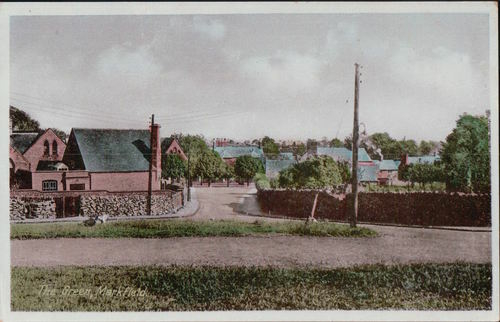 This next, slightly later card, looks down The Green, before the day nursery (originally a doctors' surgery) was built. There is a nice side view of the old school, looking down towards Main Street and the Wesleyan Methodist Church. The next photo is looking up The Green, towards the junction with Hill Side and Mill Hill Lane. 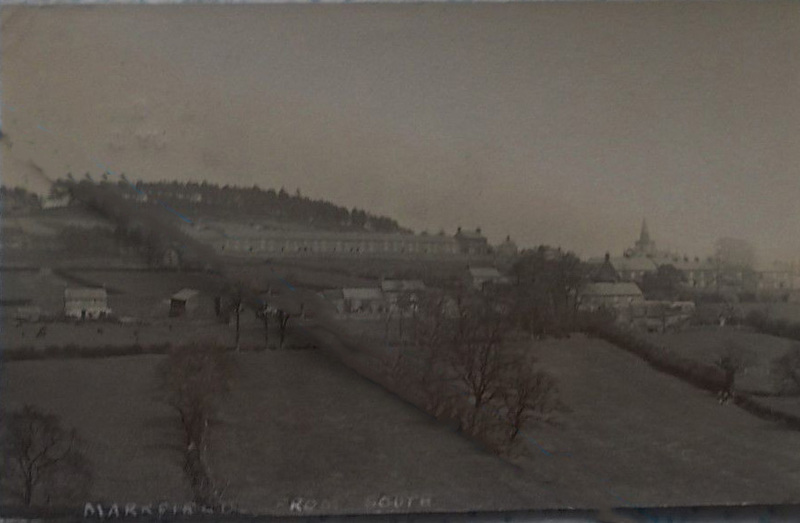 The terrace of three houses at the top right were numbers 2, 4 and 6 Hill Side, which were demolished and replaced by the present 4 Hill Side in the early 1970's. 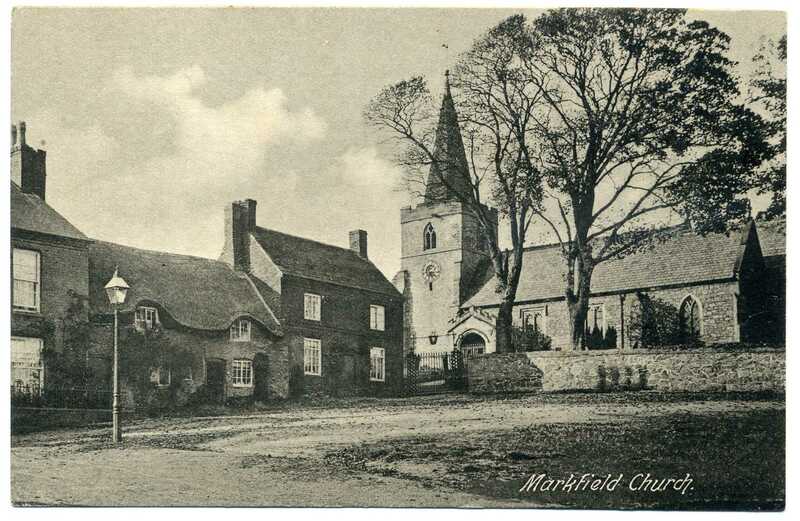 The thatched cottage to the left remains today, although the thatch has long gone and an extension added to the front. 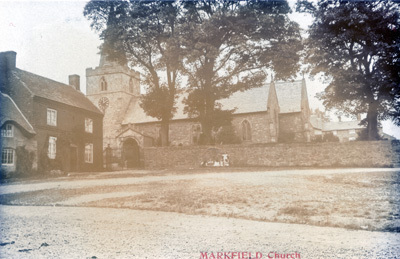 This next picture of Markfield from the South, posted in 1907, shows the long terrace of cottages along Hill Side, with the Parish Church to the right. The terrace was built to house quarry workers and was known as New Row for many years. Note the absence of other buildings between Hill Side and Forest Road.